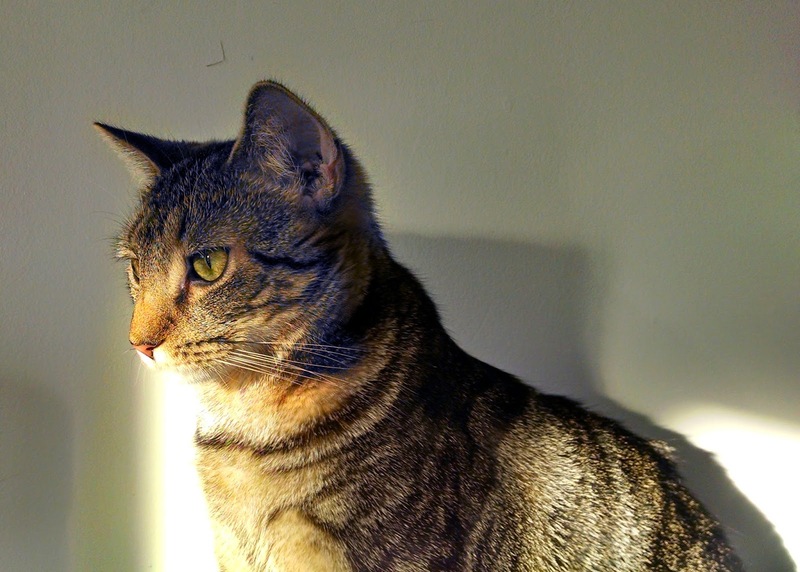 Here's beautiful and adoptable Noname (pronounced "No-nah-may"), daydreaming of sunpuddles and a forever home. 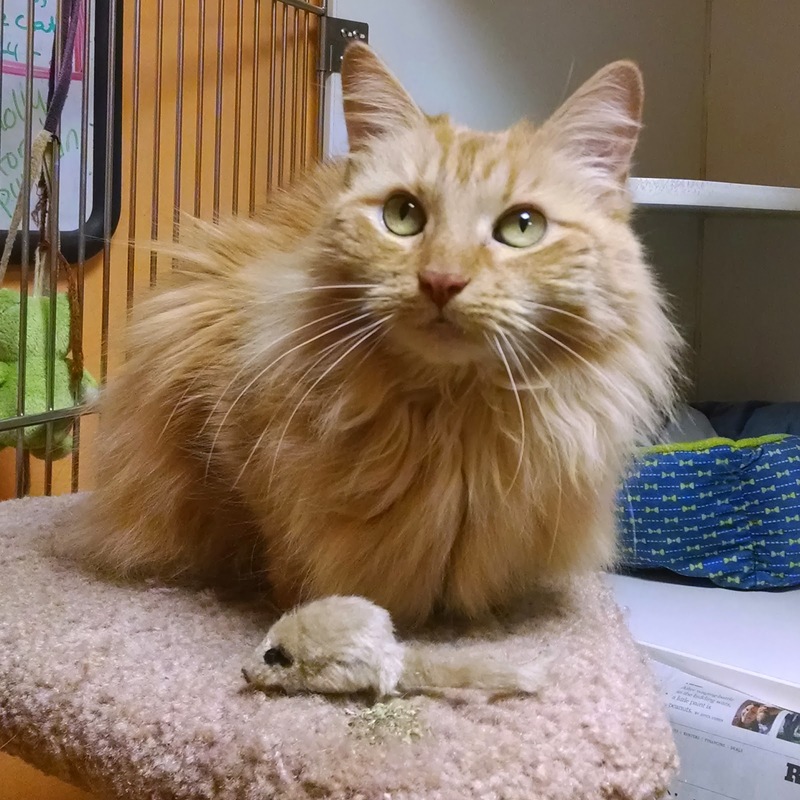 Noname loves humans, and gets along well with the other kitties in her room. Noname is about 10 months old, spayed, micro-chipped, and up-to-date on all of her vaccinations. She has tested negative for FIV and FeLV. 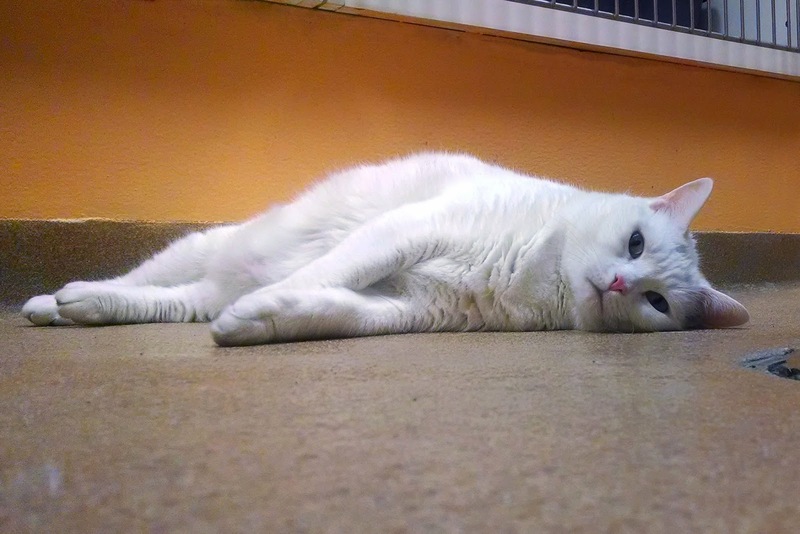 And just like all the other PAWS cats and dogs, her adoption fee is just $25 through the end of December. Come meet Noname today! 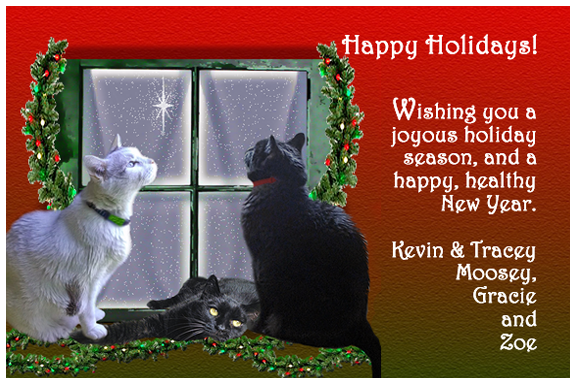 Happy holidays from all of us here at Animal Shelter Volunteer Life. May all your wishes and dreams come true this season! 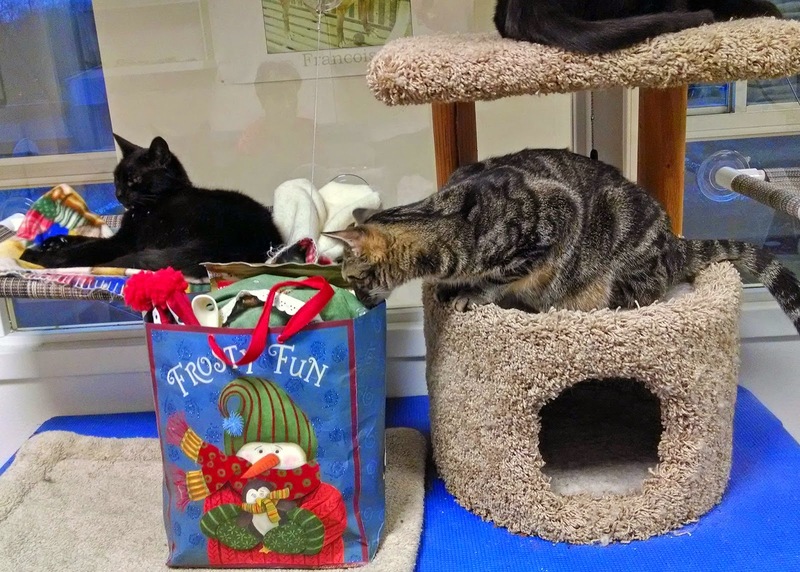 It's the most wonderful time of the year ... for bringing a little extra joy to shelter kitties. 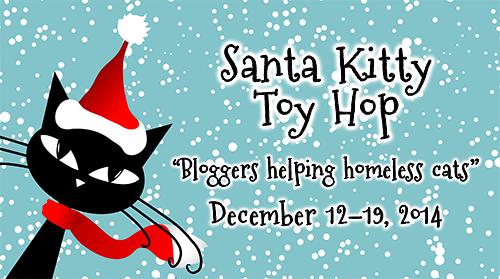 That's why we're participating in the Santa Kitty Toy Hop organized by Summer and her human at Sparkle The Designer Cat. 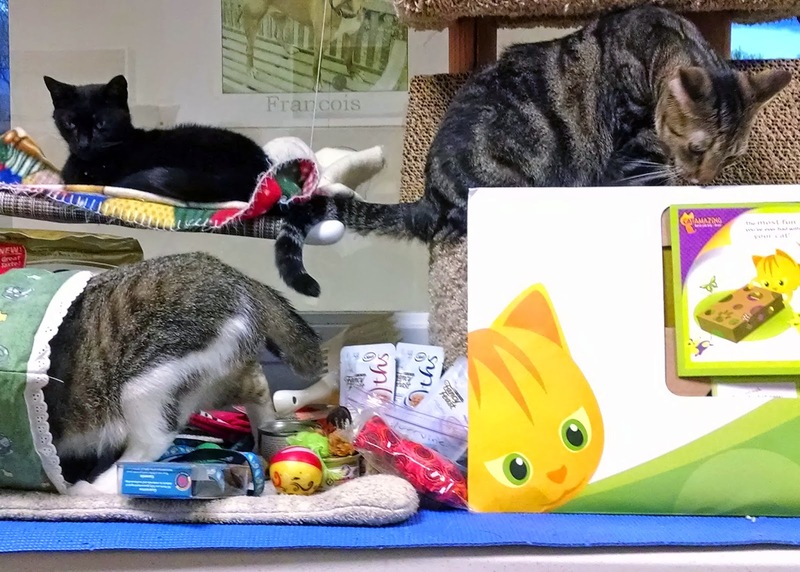 Cat bloggers around the world are taking this opportunity to donate to their local shelters, and sharing about their experiences doing so. Noname: What's in the bag? 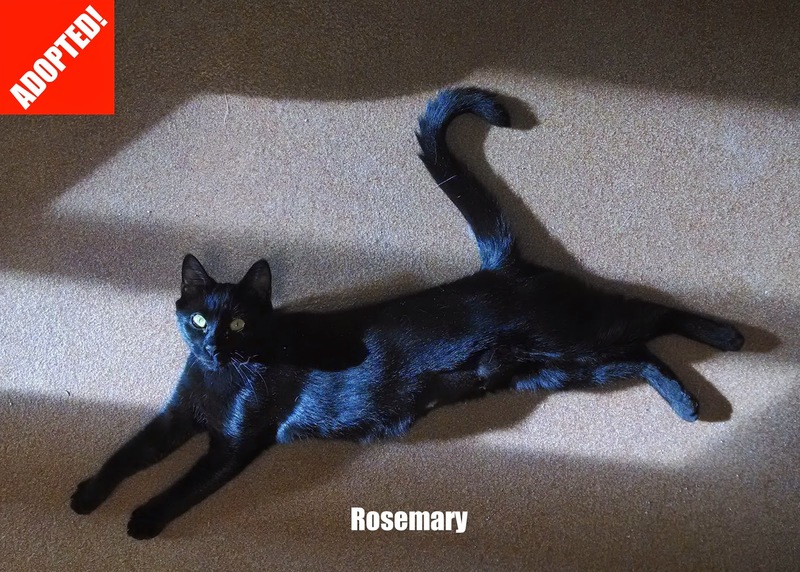 Room 7 Cats: "Holy Cat! Is all this for us?" Playing the Cat Amazing game (looking for snacks)! 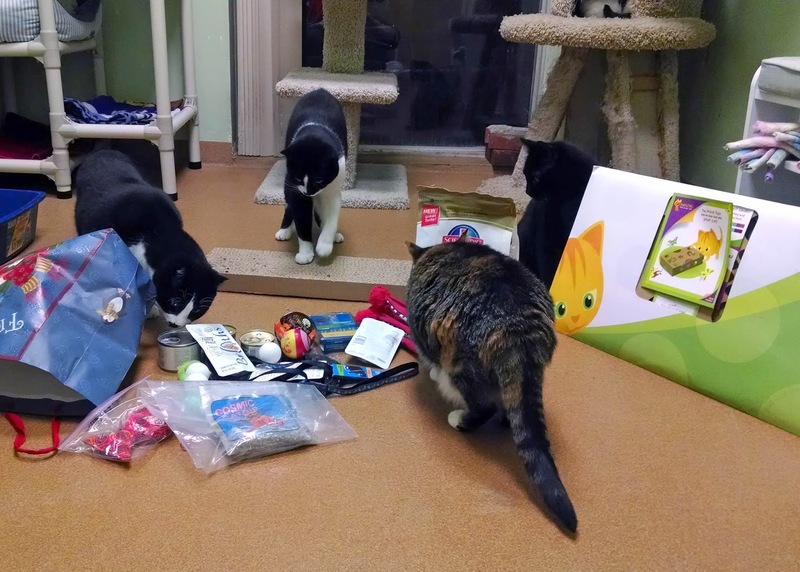 "Toys, tunnels, scratchers, snacks, catnip ... we must have been GOOD this year!" 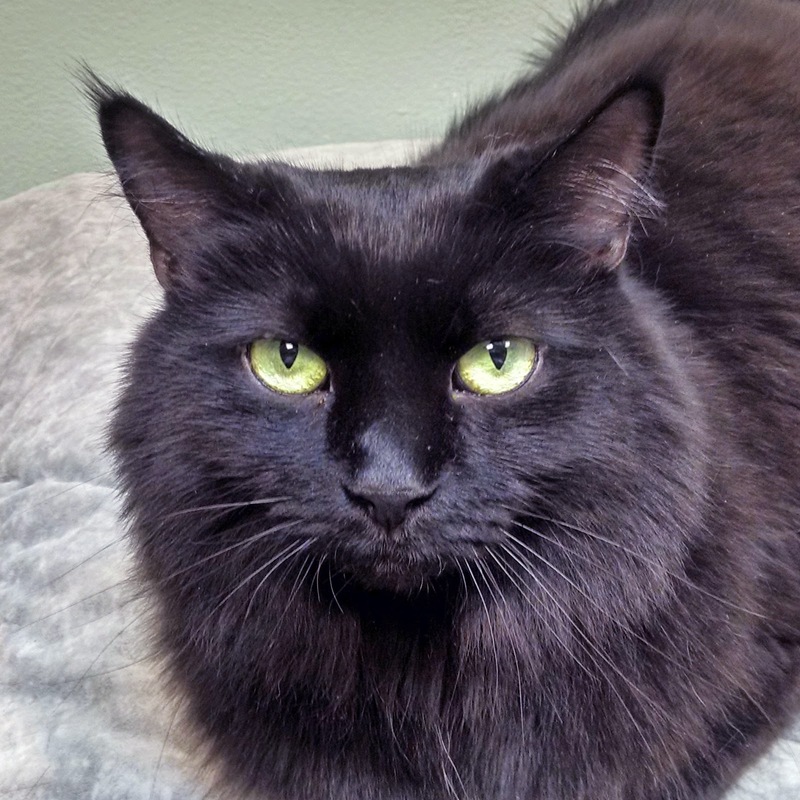 This is our gorgeous, floofy and adoptable housepanther friend Lucky. 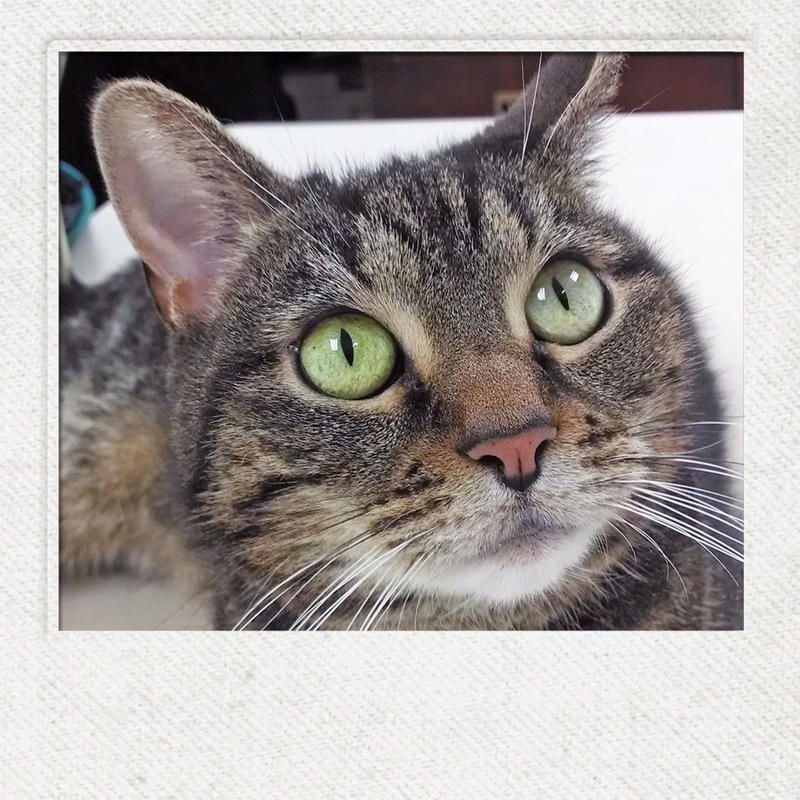 She's gentle and affectionate, and really enjoys hanging out with her human volunteer buddies. We all love spending time with her, too. Lucky is about 8 years old. She is spayed, microchipped, and up to date on all her vaccinations. She has also tested negative for FIV and FeLV. Potential adopters should be aware that Lucky was front paw declawed by whoever owned her previously. 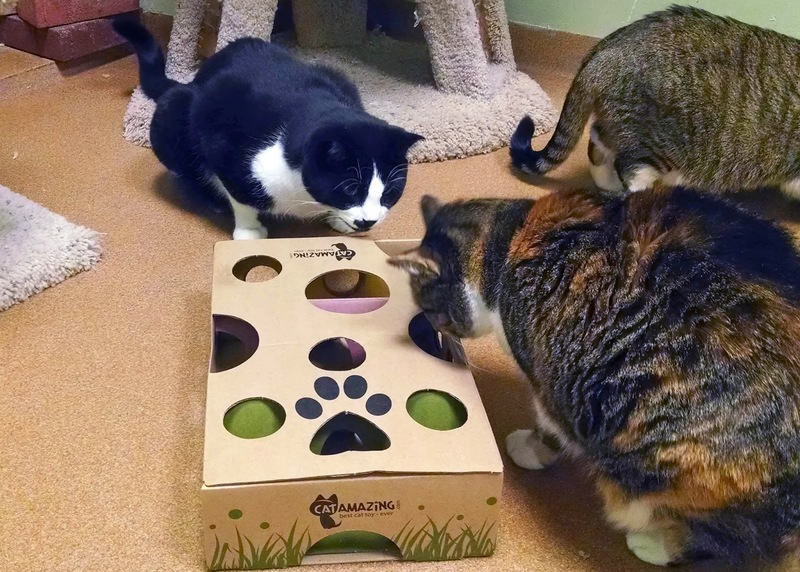 (We - and PAWS - are strongly against the barbaric procedure of declawing.) We don't know why someone would declaw a cat. But we DO know that Lucky is a very sweet girl who would make someone a great best friend. Come meet her today! 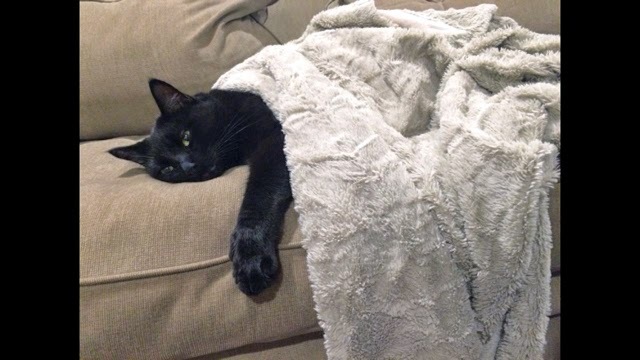 Here's wishing you a Sunday as easy as Sarah's. We also hope you take some time today to have some fun. 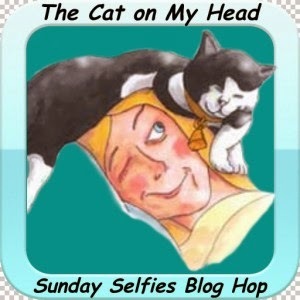 Our handsome buddy Wizard is doing just that by participating in the Sunday Selfies Blog Hop, sponsored by our dear friends at The Cat On My Head. 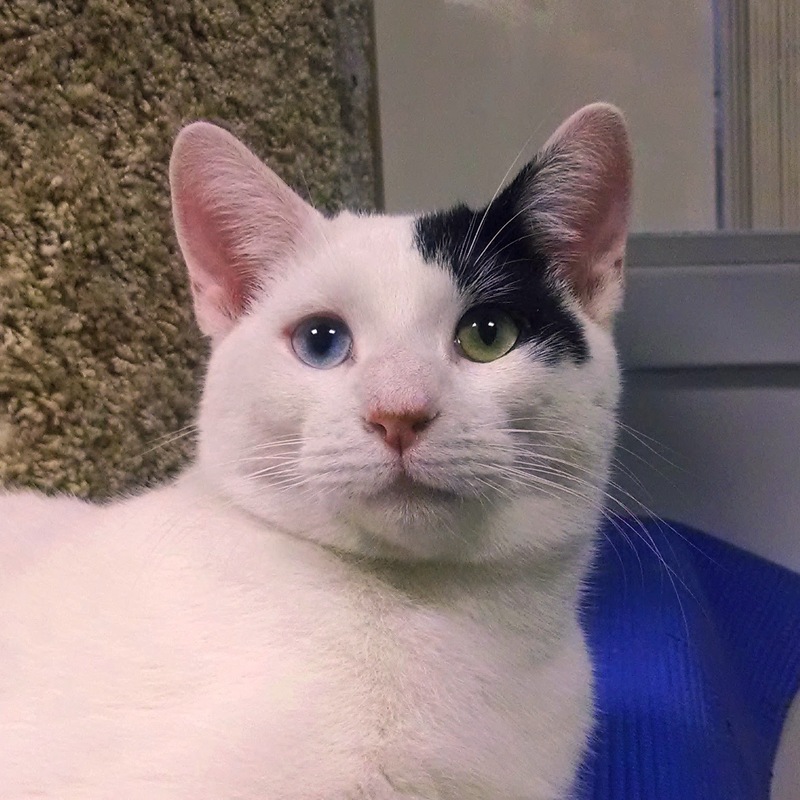 In case you're wondering, Wizard DOES have one blue eye, and one green eye, and both are magnificent! Oh, and yes ... this sweet and playful guy is available for adoption, too. 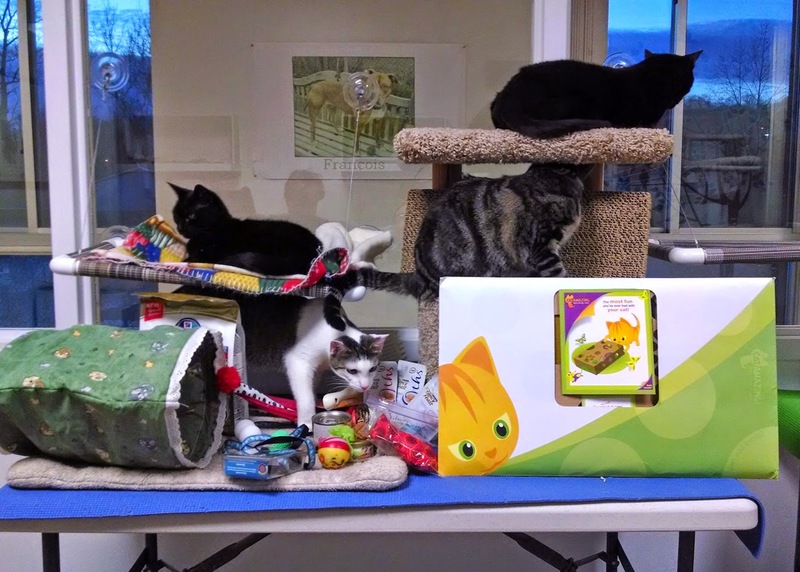 Roommates Patch, Calliope and Cinnamon all live in the PAWS Records Room. 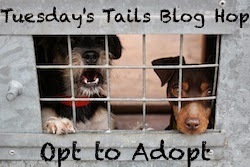 They're available for adoption, and waiting to meet you! 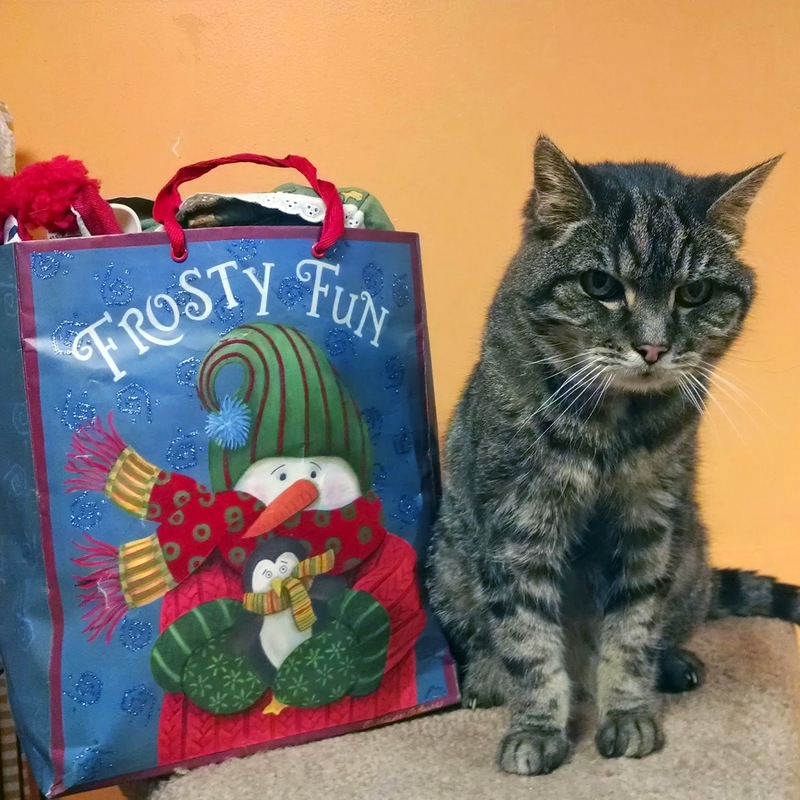 When Evangeline was found as a stray, her sweet and friendly nature made it obvious to everyone that this little old cat had once had a home. Her shabby condition and serious medical issues, though, belied the fact that she had probably been fending for herself for quite some time. Evangeline wasn't one to dwell on the past. 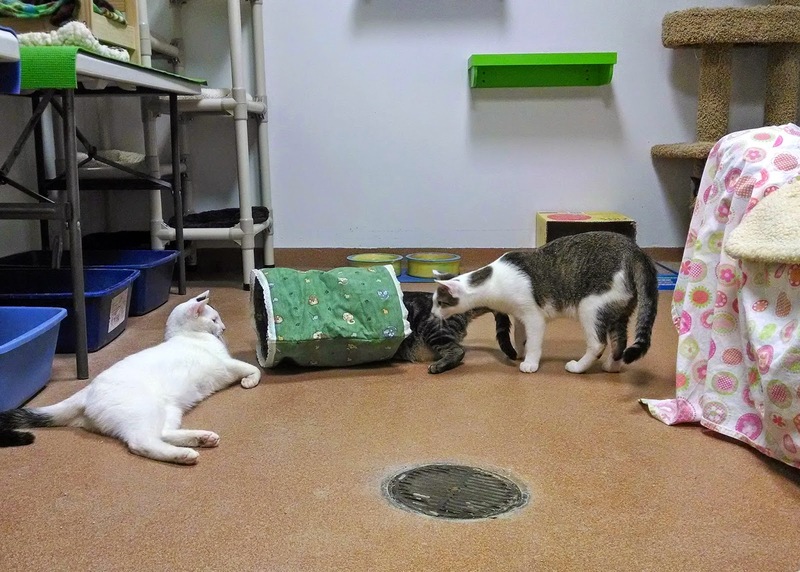 She acclimated quickly to the shelter, and got along well with the other cats in her social group at PAWS. The volunteers and staff alike quickly fell in love with this special girl. 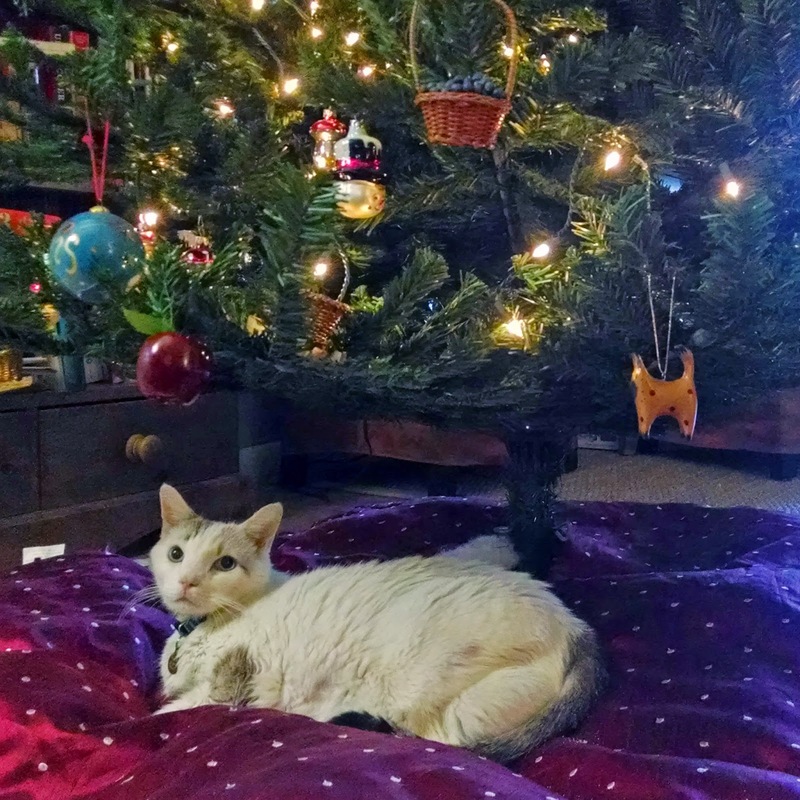 You can imagine how sad we were to learn recently that Evangeline was in end stage renal failure, and that she would not be with us for much longer. That's when an incredible act of kindness, love and compassion provided a wonderful gift to Evangeline, and to all of us who loved her. 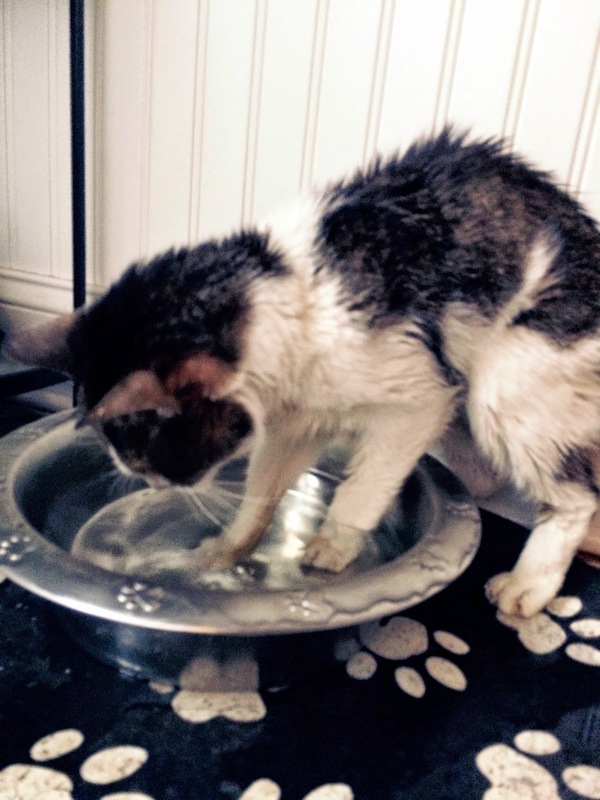 Our friend and fellow PAWS volunteer Beth offered to provide hospice care for Evangeline, giving her the chance to live out her remaining days in a real home, with sunpuddles to lounge in, water to play in, new friends to make, and humans of her own. Evangeline is a beautiful and sweet cat who I now wish I had known before yesterday. It took only minutes for me to love her truly. When I brought her home yesterday she wasn't even the slightest bit nervous or afraid and is totally comfortable here. She's been exploring the upstairs and everywhere else. There are no rules for her here. She is free to play in the water bowl and there are no crates for her here either. She is free at last. 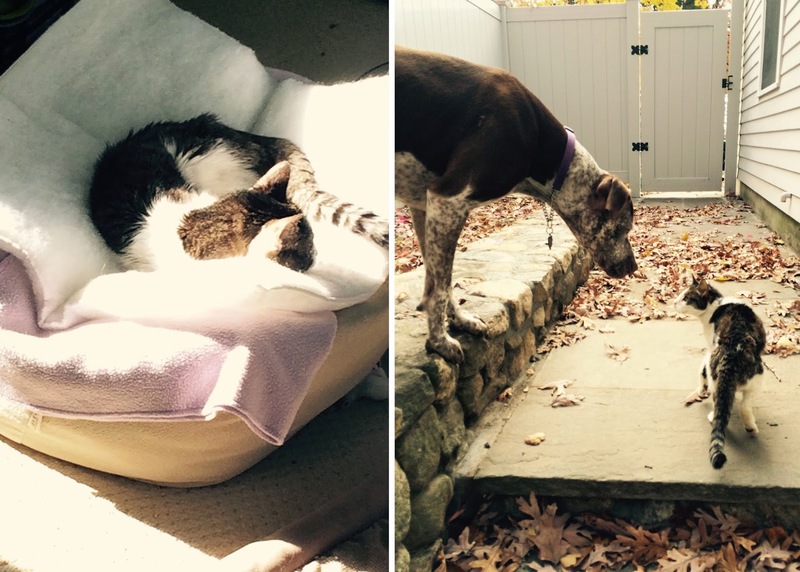 Six days later, Beth sent the following pictures, which showed that Eva was enjoying her sunpuddles, and even making new friends. The doctor just left my house. Evangeline died peacefully in my arms. These photos are from not too long ago. I cannot explain how much I loved and enjoyed this cat. And I will miss her. Thank you from both she and I for this beautiful experience. We give thanks for places like PAWS, which take in animals like Evangeline who might not get the same chance elsewhere. 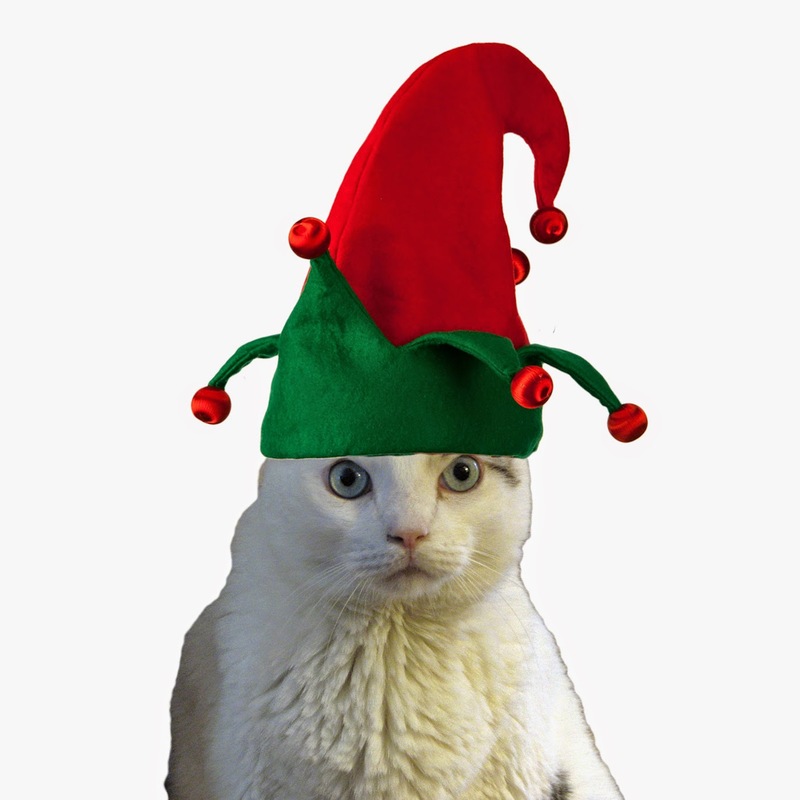 We are thankful for the opportunity to know and love an amazing little cat, who left an indelible pawprint on us all. We are grateful for Beth's amazing heart. And we are thankful that Evangeline knew a lifetime of love and happiness in her 10 days with Beth. Most of all, we are thankful that love matters, and that it makes a difference. Happy Thanksgiving, and much love to all. Hi everybuddy. It's me, Moosey! 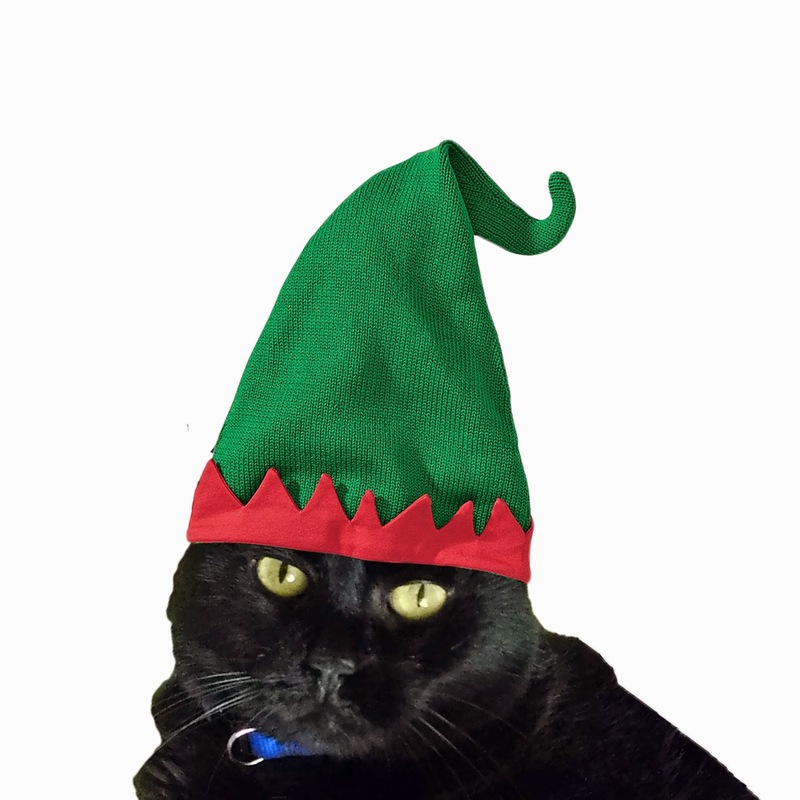 Fanks from me and my family for your ongoing purrs and prayers, and all of your love and concern for me. I did really well during my all-day visit to the v-e-t. I wouldn't go so far as to say I exactly enjoyed going there, but it does help that all of the doctors and staff like me so much. They say I'm a sweet and nice boy, and everybuddy made sure to say goodbye when Mom Tracey picked me up at the end of the day. For now, I'm on a very low dose of insulin twice daily, and I didn't fuss at all when I got my injections. My dosages will be adjusted gradually over the next few weeks, and hopefully it will all work out and I can get regulated. The best part of my day was being back home with my family, and I am feeling pretty good. What a day! I bet we will all sleep a bit better tonight. Fank you again. We love you all lots! Our sweet boy Moosey needs your purrs, prayers and good thoughts. He hasn't been feeling his best lately, so yesterday we made a visit to the vet, where blood tests revealed that he is now diabetic. This in itself would be cause for concern, but when also taking into account Moosey's hyperaldersteronism (Conn's Syndrome), kidney problems, and his age, the news is even more upsetting and scary. We love him so, so much. 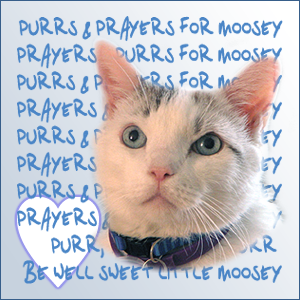 The veterinary office was closed today, but we will be discussing next steps for Moosey with them tomorrow. Our hope is that we can get his diabetes regulated, and keep his potassium at a good level, too. Of course, anything we consider will be looked at with Moosey's quality of life and happiness our utmost priority. For now, he's home, and at least we have some idea of what it is we're dealing with. Hugs, headbonks and much gratitude. Do you remember handsome Liam? 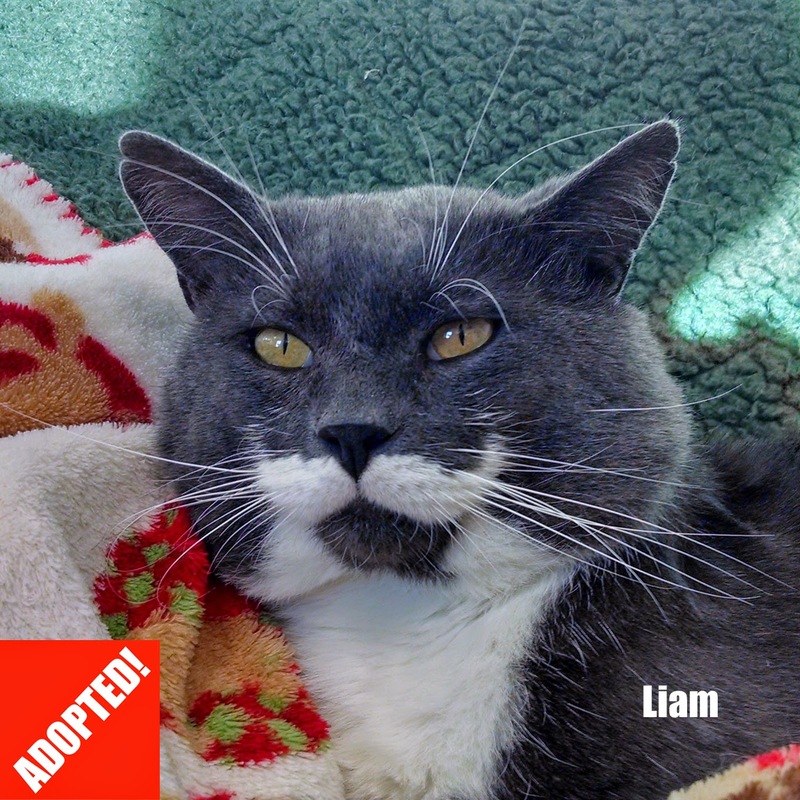 He's been adopted! 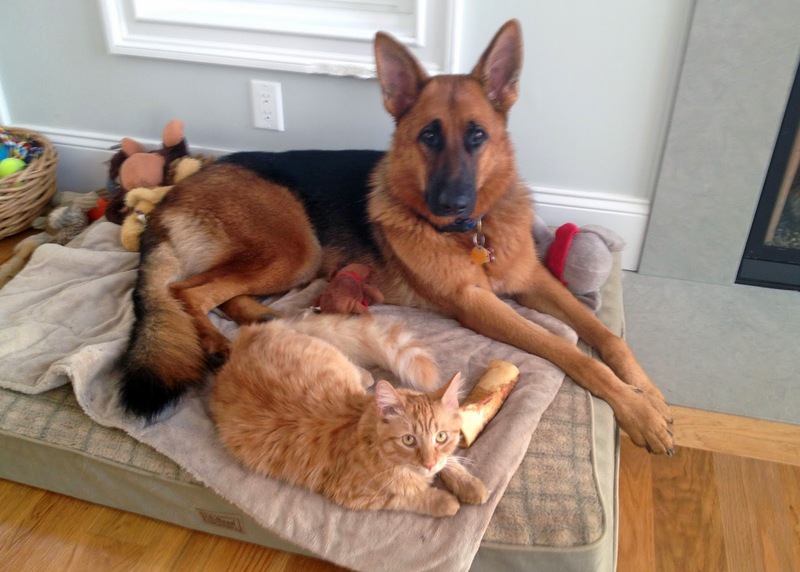 Check out Nikko (whose name at PAWS was PB), and her best friend Kali the Dog (also a PAWS alum). Their mom says the two of them are inseparable! 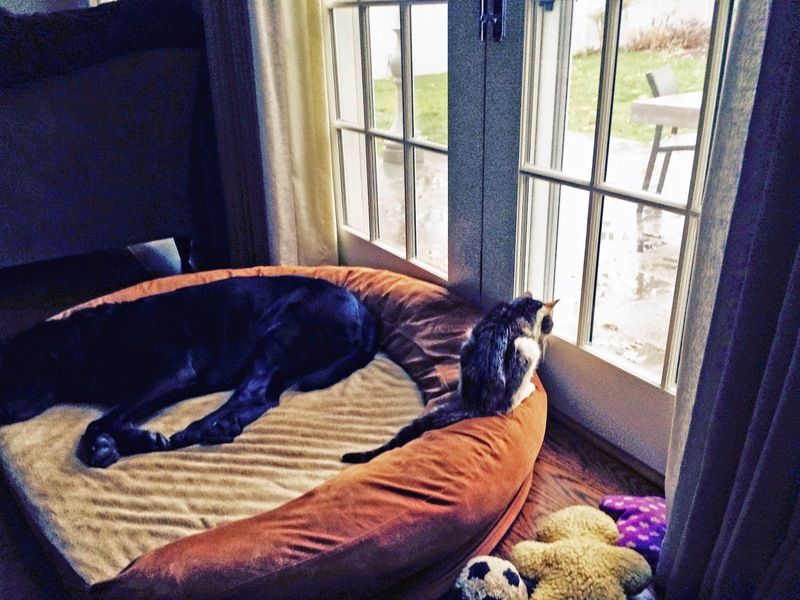 PAWS alum Sabre looks pretty happy and content in his forever home, huh? Sabre sure looks comfy. We hope no one else wants to sit on the sofa! Thought I'd give a little update on our Sandy girl! She just had some blood work done yesterday and her kidney values have IMPROVED since her blood work 4 months ago. Plus, she's put on almost 1/2 pound ... glad someone likes my cooking! Have a terrific weekend, everybody! 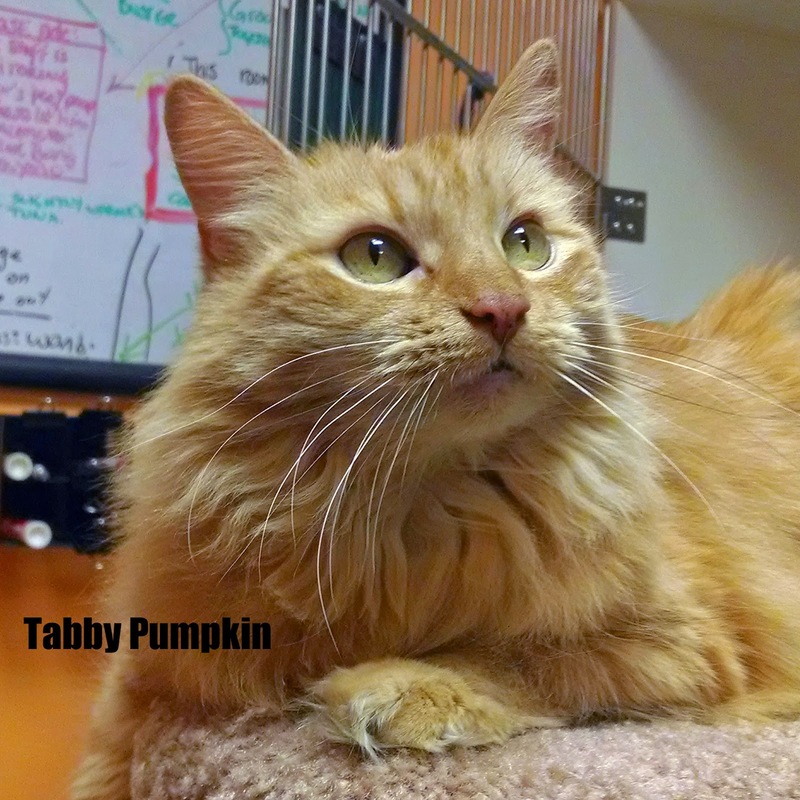 Tabby Pumpkin has had a difficult time adjusting to life at the shelter, but is really gaining confidence. 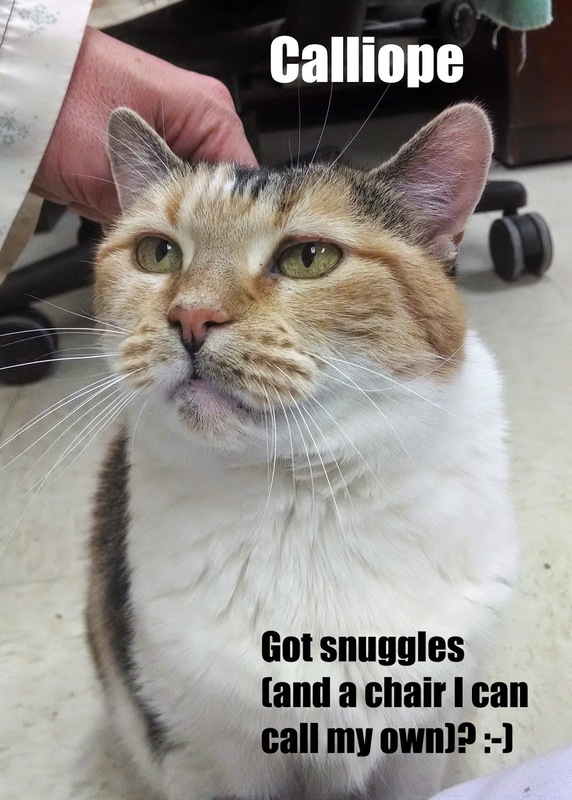 She enjoys being pet and giving head bonks to her favorite volunteers. 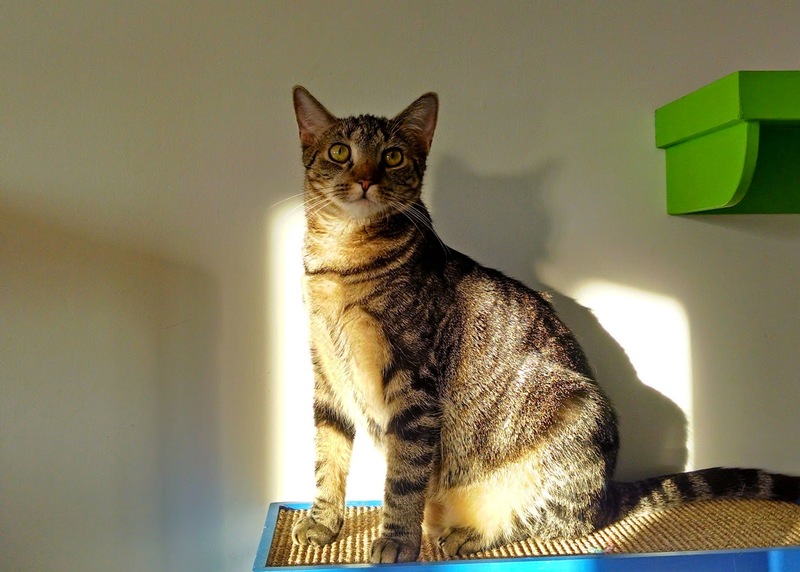 In a quiet home, we know her sweet personality would come out even more. 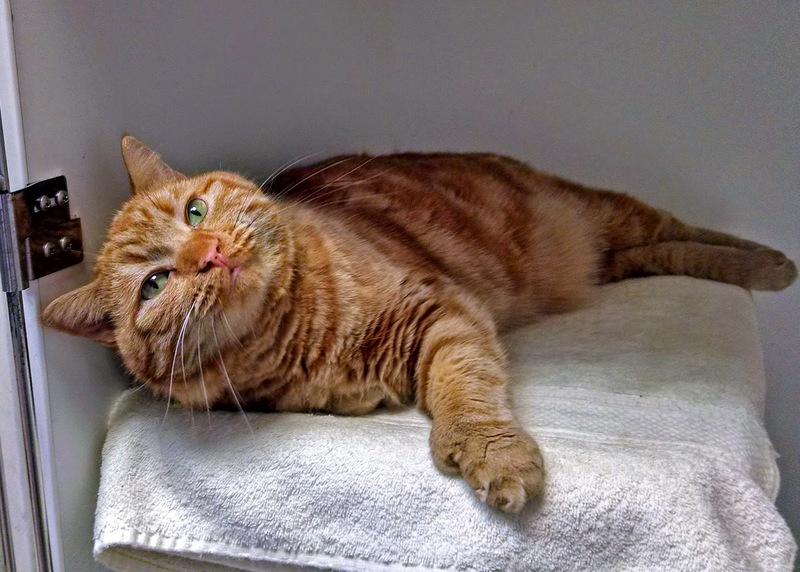 Pumpkin is about 9 1/2 years old, spayed, micro-chipped, and up-to-date on her vaccinations. She has tested negative for FIV and FeLV. 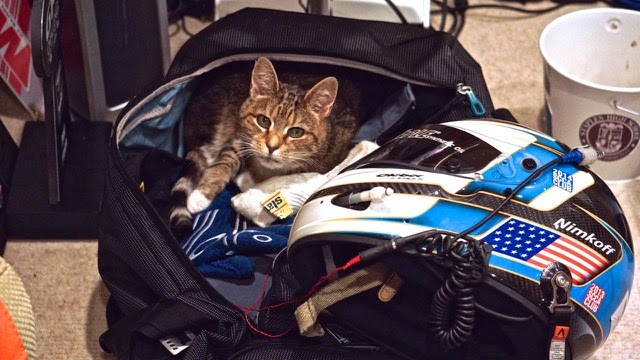 Torbie Bella makes us laugh with her antics. She loves to play (ballpoint pens are her favorite!) and is a huge fan of catnip. She's not especially happy living at the shelter, but is making progress. Bella is about 6 1/2 years old. She's spayed, up to date on her vaccinations, and has tested negative for FIV and FeLV. 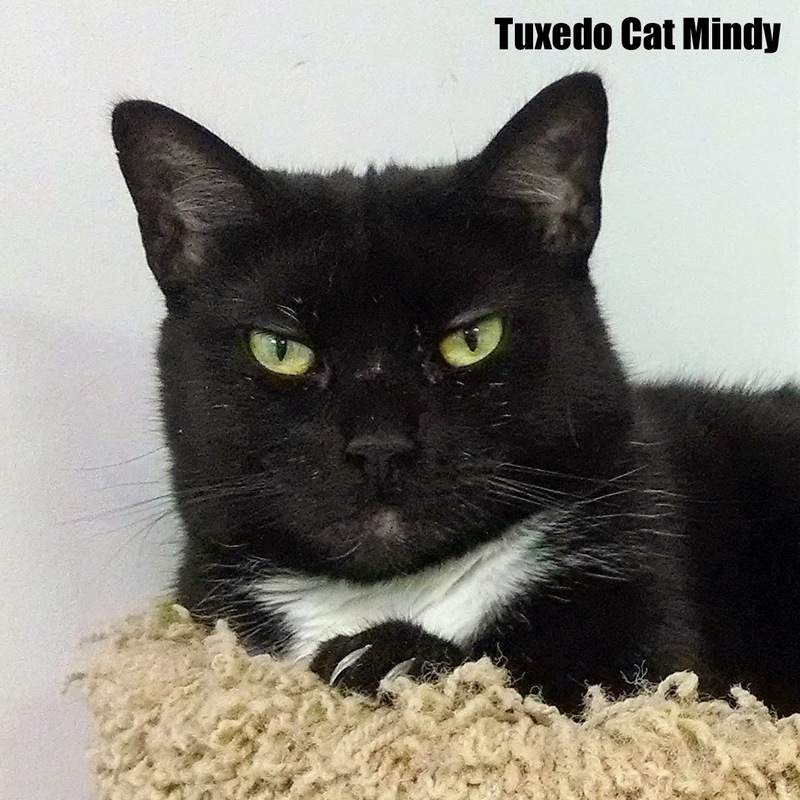 Gentle tuxie Mindy was found as a stray. She is shy, but loves other kitties and people she trusts. 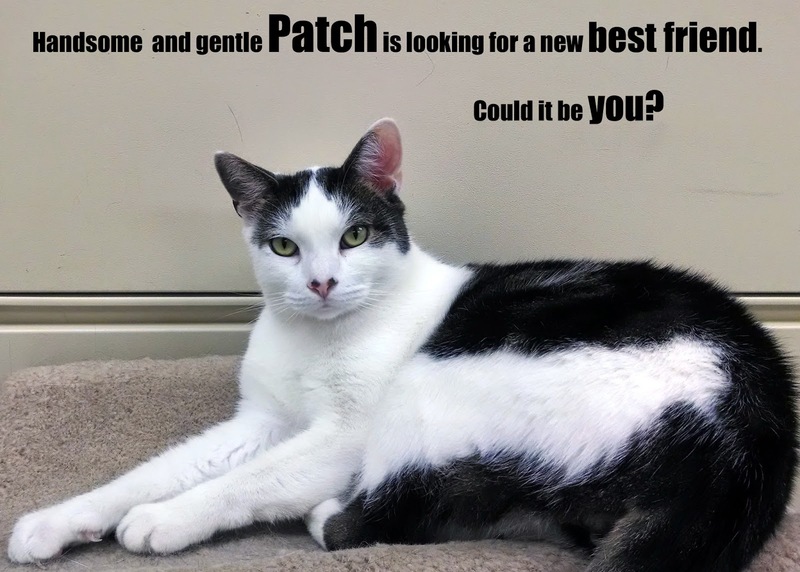 We're positive she'd do well in a quieter home with patient humans. Mindy is about 8 1/2 years old. 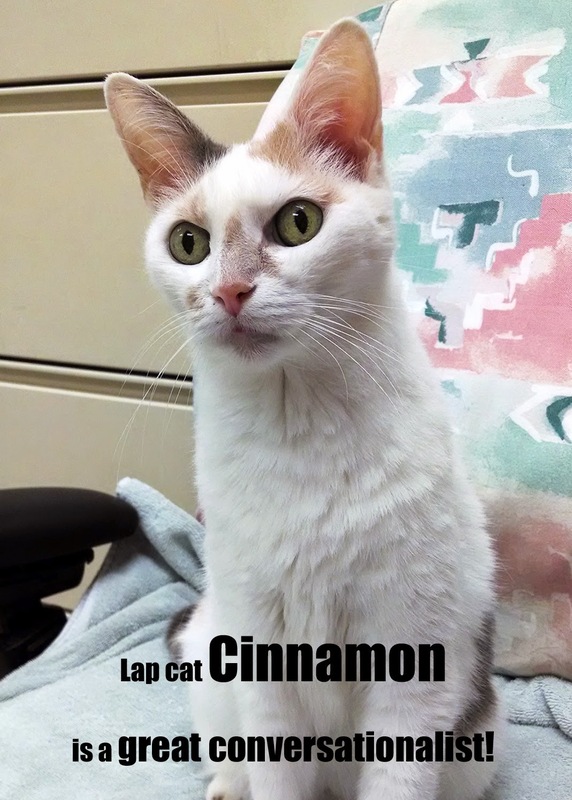 She is spayed, up-to-date on her vaccinations, micro-chipped, and has tested negative for FIV and FeLV. 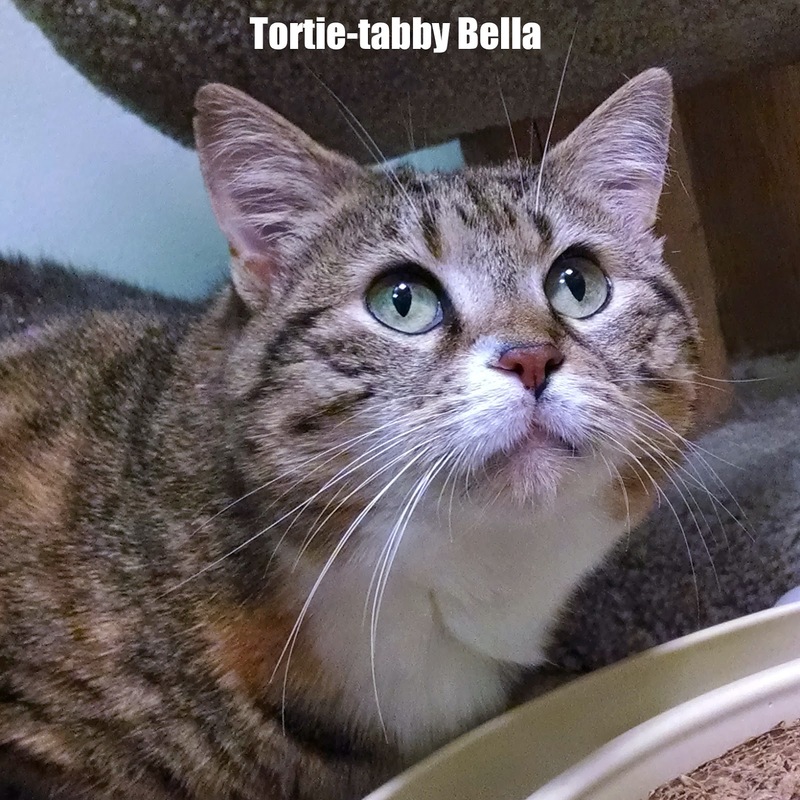 Our sweet pal Truffle found herself at PAWS when her human was evicted. This torbie loves rubbing against ankles, shoes and shins, and hanging out with her human buddies. She's especially good at "helping" us read the newspaper. 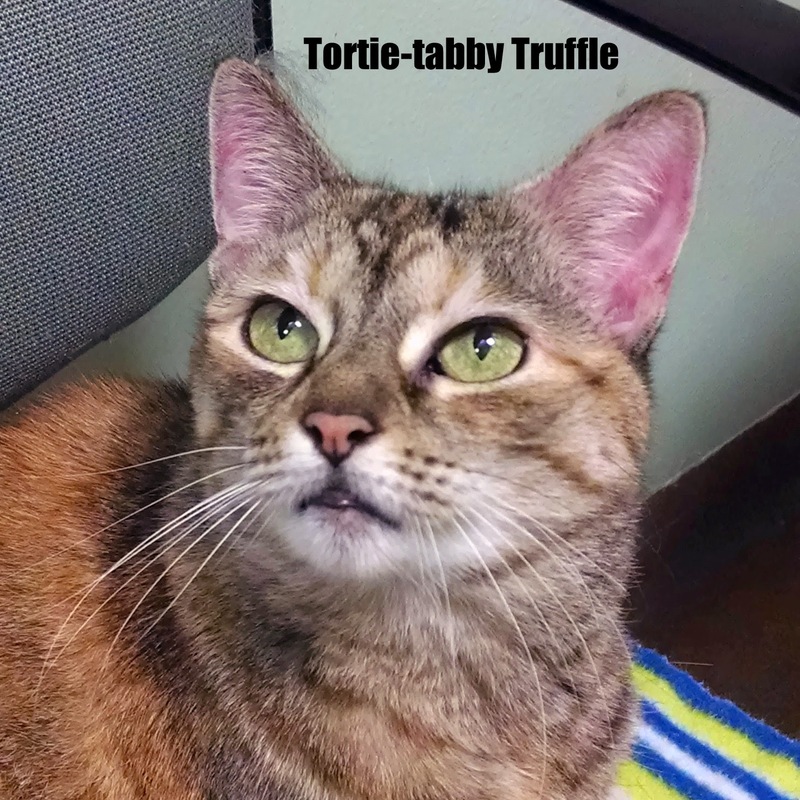 Truffle is about 12 years old, spayed, micro-chipped, and up-to-date on her vaccinations. She does have a condition known as feline stomatitis, a common and chronic inflammation and ulceration of the soft tissues in the mouth. She is being treated with medications, and has not had a flare-up in quite some time. 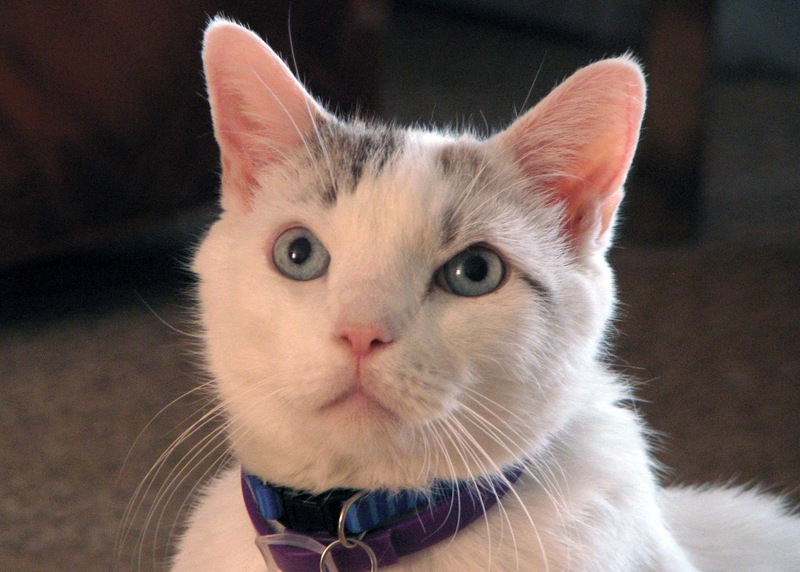 Truffle has tested negative for FIV and FeLV. 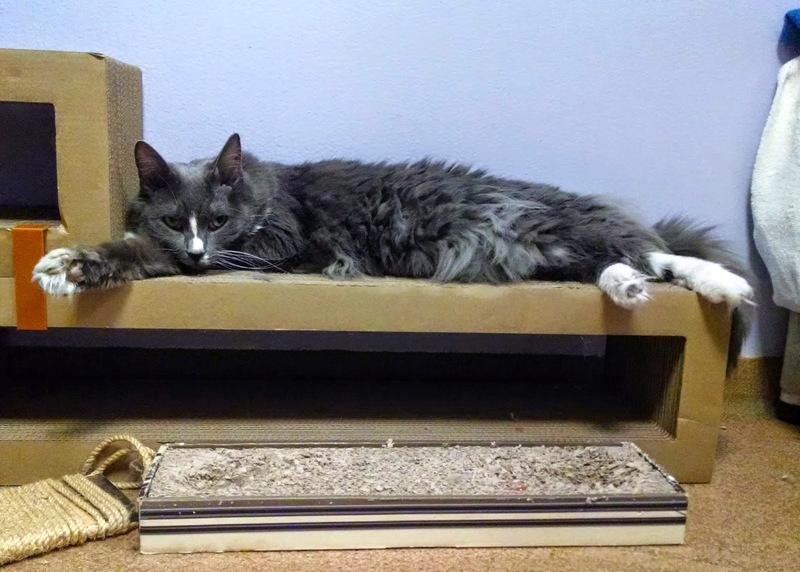 Roll out the red carpet (or at the least the catnip-infused Boogie Mats) ... there's royalty in da (PAWS) house! Sir Nigel is about 4 years old, neutered, micro-chipped, and up to date on all his vaccinations. 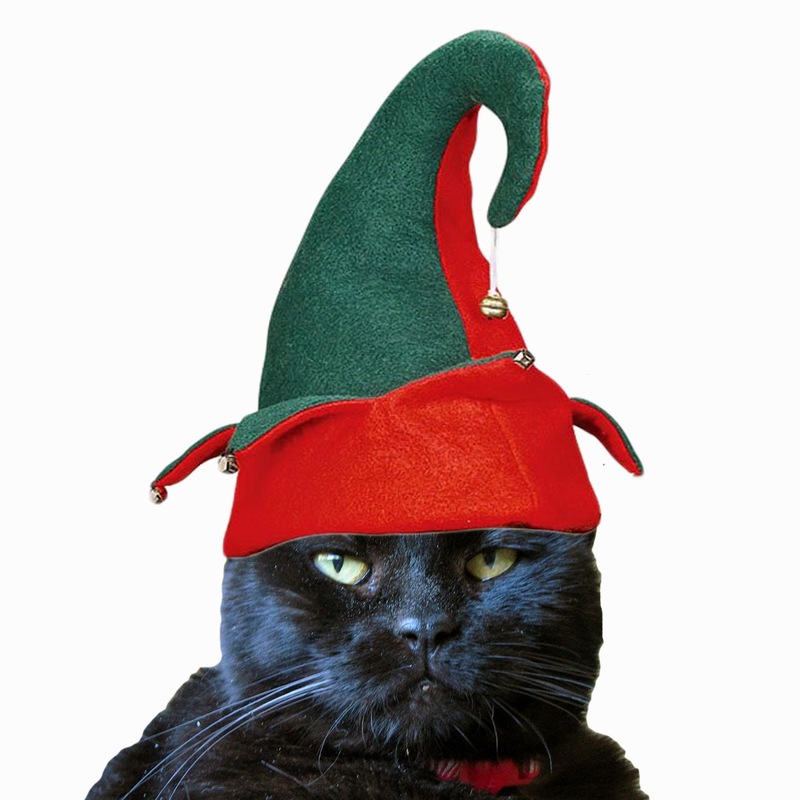 He is negative for FIV and FeLV. Come meet him today, and fall in love. Today, we’re taking part in “BlogBlast for Peace.” Since Mimi Lenox started it in 2006, this day of peace has grown to include thousands of bloggers in more than 200 countries, all blogging about one thing ... PEACE. Our peace globe this year features our beautiful and adoptable friend, Sarah. For a very long time after she came to PAWS, Sarah was frightened and confused by all of the strange sights, sounds and smells present at the shelter. She was extremely cage dependent, rarely venturing out even when it was time for her "out" time. It was clear that she had been let down by humans before, and she just wasn't sure she could trust the people or cats here. 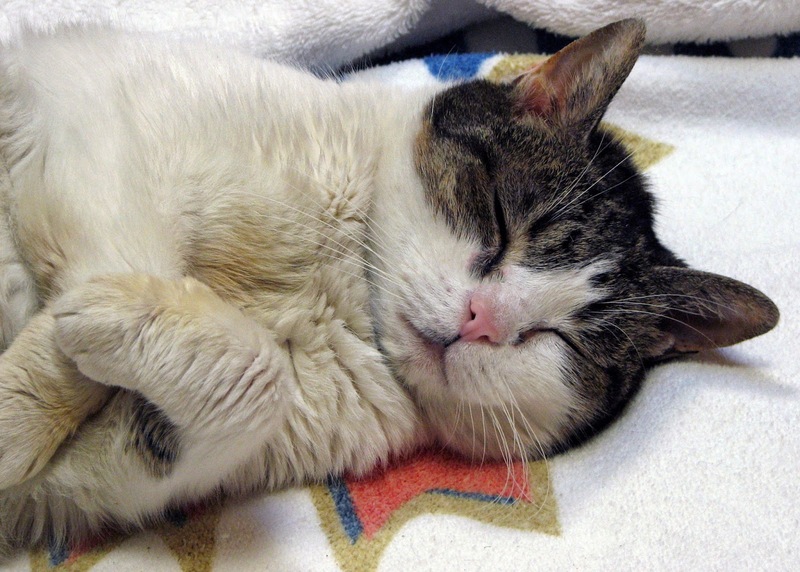 While PAWS isn’t a “home,” it is a place where Sarah has experienced love and gentle care. 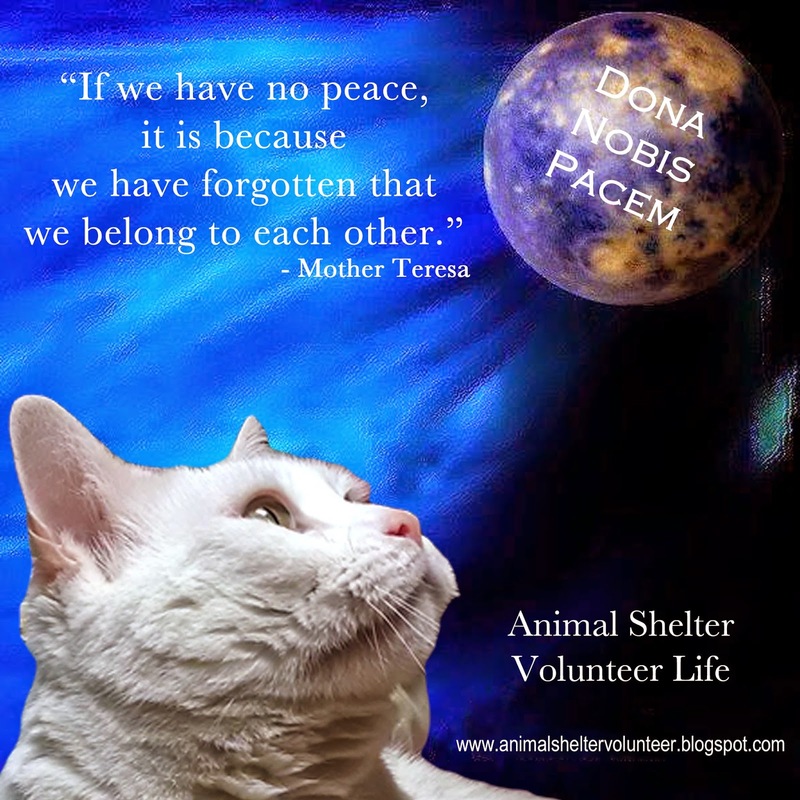 And those things have allowed her to come to a place of peace, born from knowing the humans here speak gently, move slowly, and offer encouragement, pets and food. It's such a pleasure for us to watch as she learns to love and trust again, especially when she rushes to greet her favorite volunteers for some "together" time. 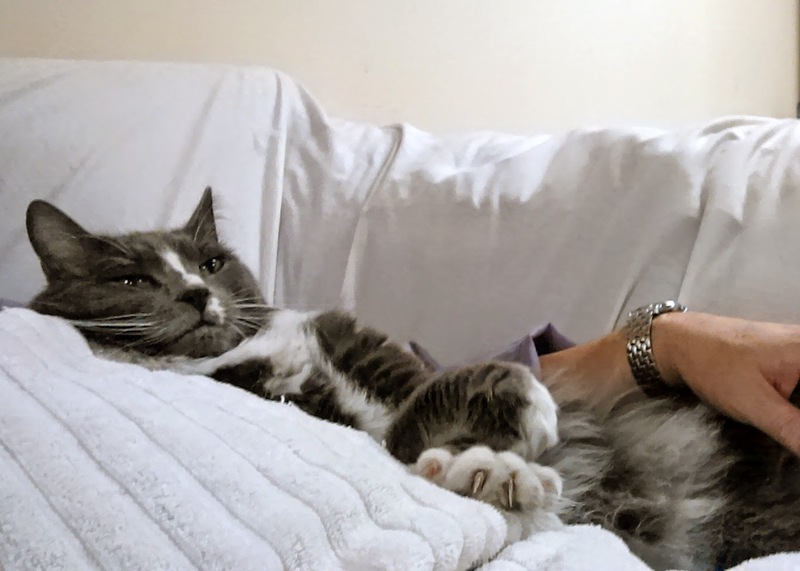 Sarah isn't a lap cat, but she loves human company. She is so ready to find her own forever family. 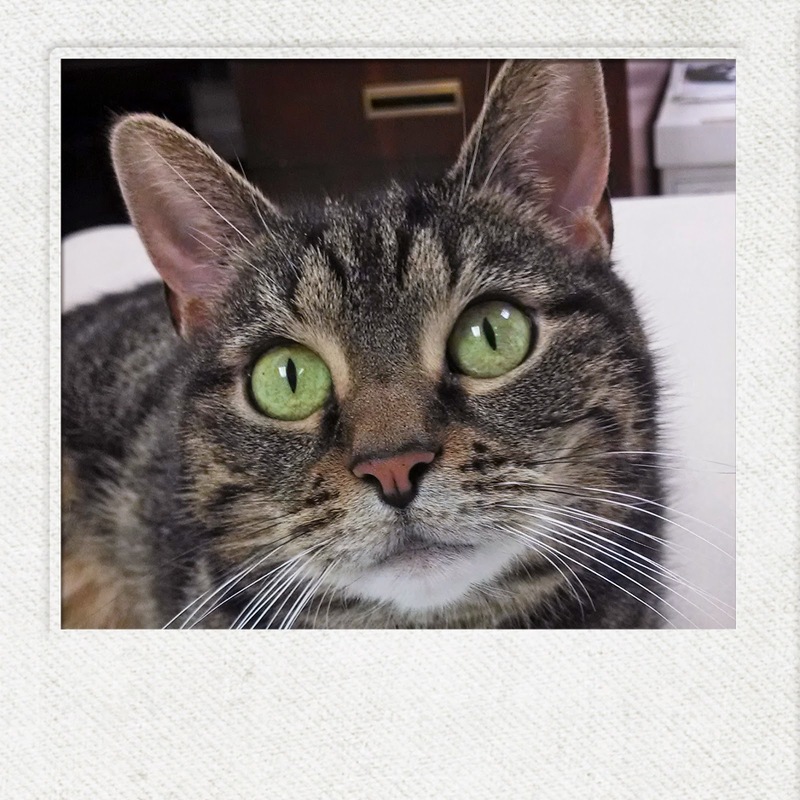 She’s still cautious with new people and situations, so she would do best in a quiet home with folks who will be patient as she adjusts to her new surroundings. 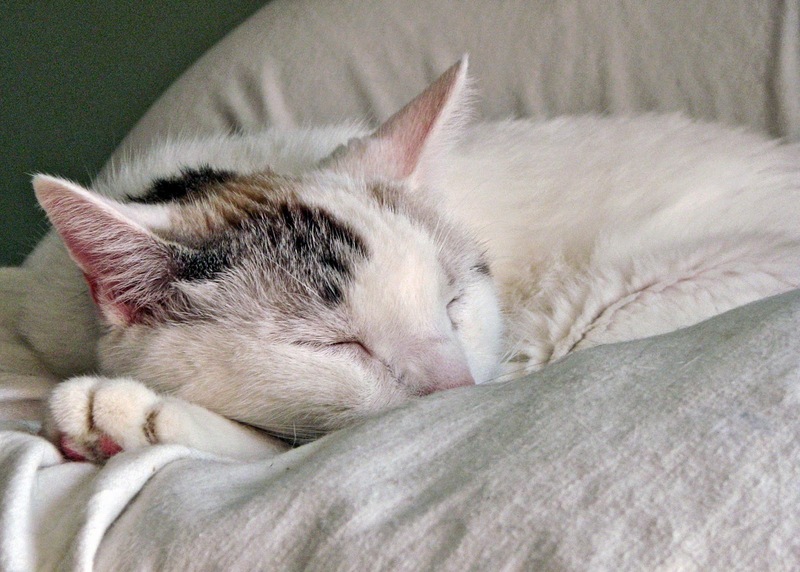 Won’t you please consider giving Sarah the home she deserves? 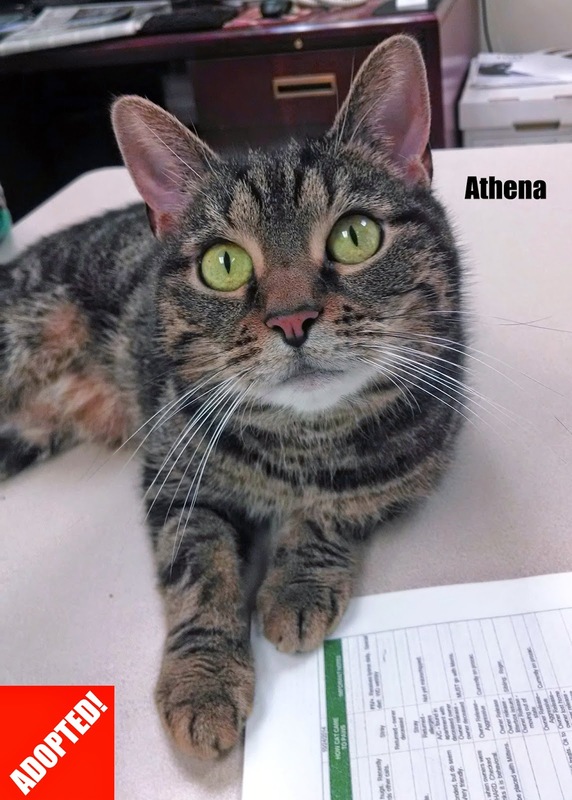 Athena is affectionate, sweet and gentle, and loves people. 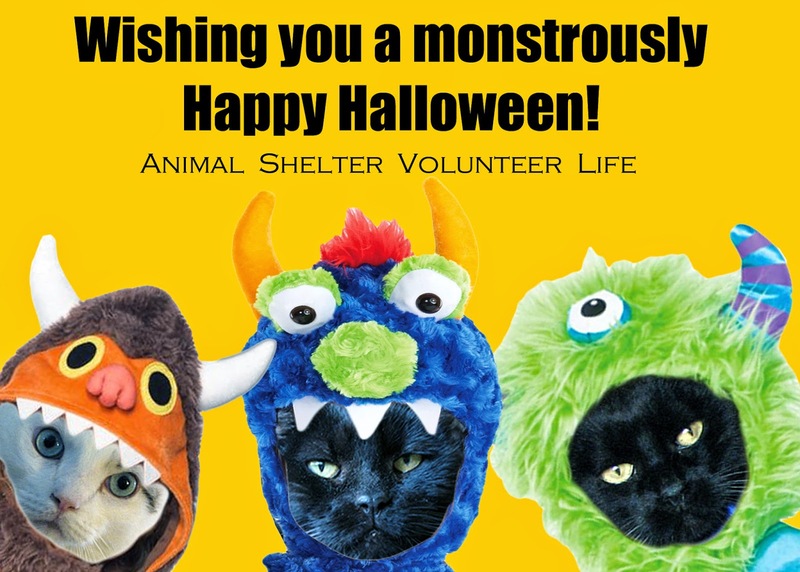 This just in: PAWS is holding a special Halloween Ball adoption event this weekend (October 31 through November 2), with scary low price adoption specials for black and orange cats! Click HERE for more details!